The polls ain’t looking good, folks. Looks like a lot of people want “higher taxes on the rich” and more impossible spending on more impossible programs. Paul Krugman said in his recent column that in fact support for what he calls “conservative” economic policy has always been thinner than people thought. Most Republicans, he thinks, weren’t particularly wedded to it, but were willing to tolerate it in exchange for “racism,” which is what really drew them to the Republicans. Nice guy, that Krugman. Always looking for the most charitable interpretation of people’s actions. Some additional fun involving Bob. 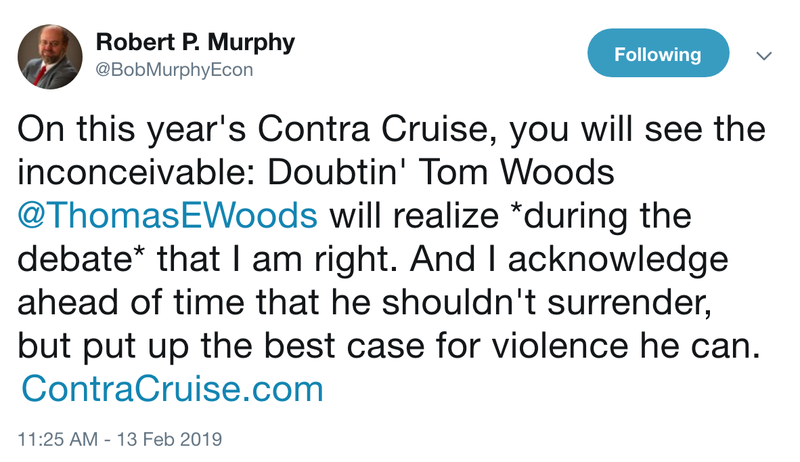 Surely you know Gene Epstein, formerly of Barron’s and popular guest on the Contra Krugman and Tom Woods Show podcasts. 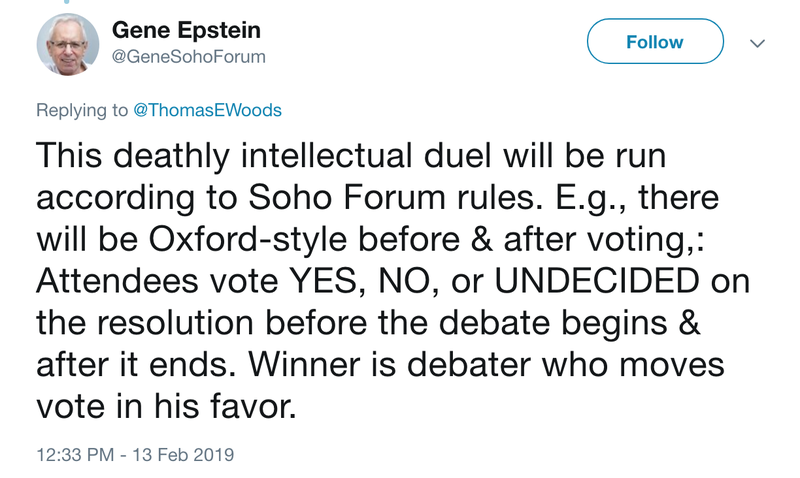 He directs the Soho Forum, where he moderates Oxford-style debates. Well, Bob and I will be debating each other aboard the Contra Cruise, and Gene, who joins us on the cruise this year, is moderating. The topic: pacifism. Bob is a pacifist. I am not. This will be fun.